Bayati Zadeh, J., Moradi Kor, N. (2014). Component and Application Aloe Vera Plant in Medicine. International Journal of Advanced Biological and Biomedical Research, 2(5), 1876-1882. Jalal Bayati Zadeh; Nasroallah Moradi Kor. "Component and Application Aloe Vera Plant in Medicine". 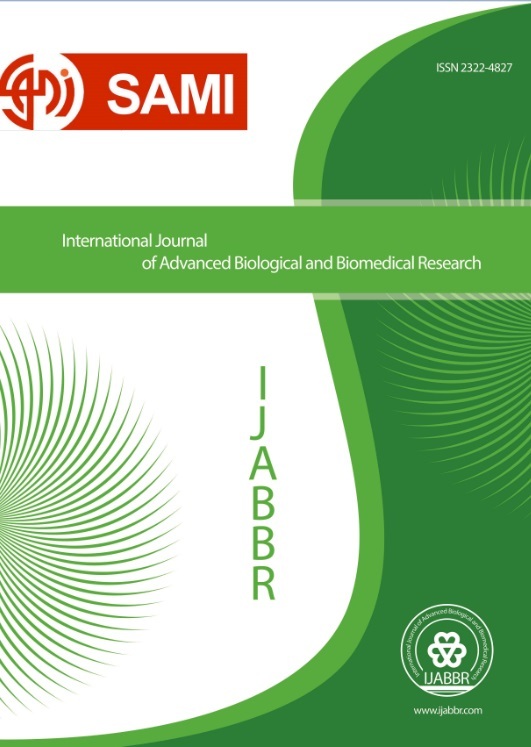 International Journal of Advanced Biological and Biomedical Research, 2, 5, 2014, 1876-1882. Bayati Zadeh, J., Moradi Kor, N. (2014). 'Component and Application Aloe Vera Plant in Medicine', International Journal of Advanced Biological and Biomedical Research, 2(5), pp. 1876-1882. Bayati Zadeh, J., Moradi Kor, N. Component and Application Aloe Vera Plant in Medicine. International Journal of Advanced Biological and Biomedical Research, 2014; 2(5): 1876-1882. For centuries, Aloe Vera has been used by many different cultures. The ancient Greeks, the Romans, the Babylonians, Indians and the Chinese have all used Aloe Vera as a medicinal plant. One of the common experimental cancer models is sarcoma-180. When Aloe was administered to mice bearing S-180 tumors, the tumor growth was inhibited. Aloe vera is a dietary supplement and not a regulated drug. There is no guarantee of strength, purity, or safety of these products. Aloe vera is approved by the Food and Drug Administration as a food additive for flavor.